Flaunt Your Standout Style With The Latest Fashion From Anuswara. 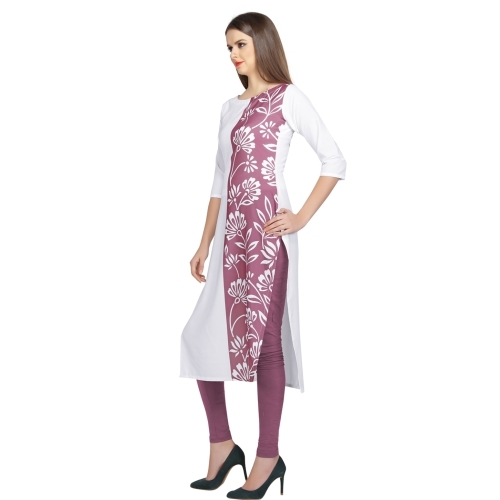 Half Half Pattern Kurti With One Sided Floral Print. 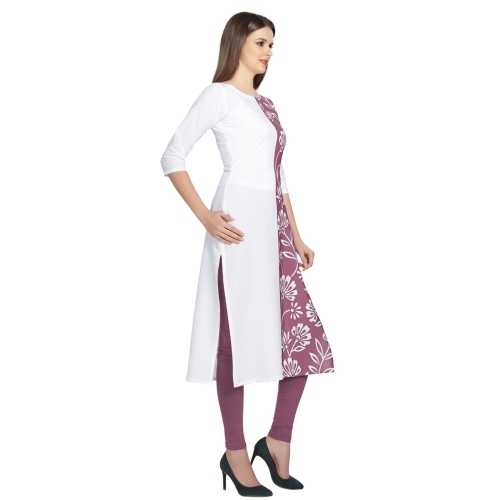 This Purple And White Kurti Is Especially Designed For Your Casual Look. Team It Up With Contrast Leggings.